Long time no see. It will be updated since July 2016(last year). There really was various things. Especially the month of April(April 2017) for one month (It is already one month old) was a dense time passed at a very dramatic speed. As a recent situation, since July of last year(2016) I am involved in robot development at a certain company, and I am doing hardware development and software development of robot system using ROS (recently it is hardware development). 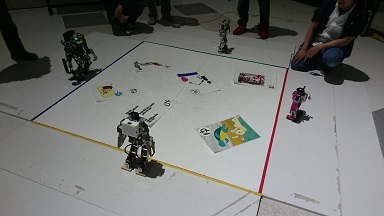 This is a task story, but my mission is to make it easy for everyone (in particular future robot developers) to make robots easily, they do not spend time on technical parts, it is to help them to focus on realizing what they want to do witch robots(purpose and contents). 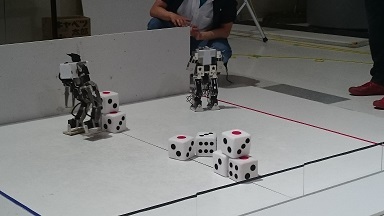 I'm happy to be able to announce that I can easily develop robots when I use ROS even at LT(Lightning talk) announcement at 5/20 Sat's ROS study meeting next month. Well, it seems that everyone who read so far seems to be noticed, but this time, I changed the purpose and writing style of my blog. Even as the title of the blog is changed in the first place, I would like to blog with Japanese and English together. Basically, I've posted translated Japanese translated text into Google translations, which has recently become high-performance, but I will continue to work on converting what I want to write into English I think that I will definitely acquire my English skills (especially writing, the ability to communicate my will). I think that it is important to continue the rest. For that reason, we do not write sentences with long sentences (and difficult to read) all at the same time as I have done so far, I strive to write concise and easy-to-understand sentences for dispensing, and want to disseminate information about Moriken's Robot Life I will. For the time being, it seems that this is just right, so I will excuse you here. From now on, please watch over Moriken's Robot Life. Thank you !!! Copyright © もりけんのロボ活！ Moriken's Robot Life All Rights Reserved.